The kitchen is a common place for people to find pests, especially cockroaches, mice, and pantry moths. Knowing where these pests come from, what they eat, and how you can get rid of them can help you take care of your home. Here's what you need to know about kitchen pests. Cockroaches are a common problem in urban areas and apartments. 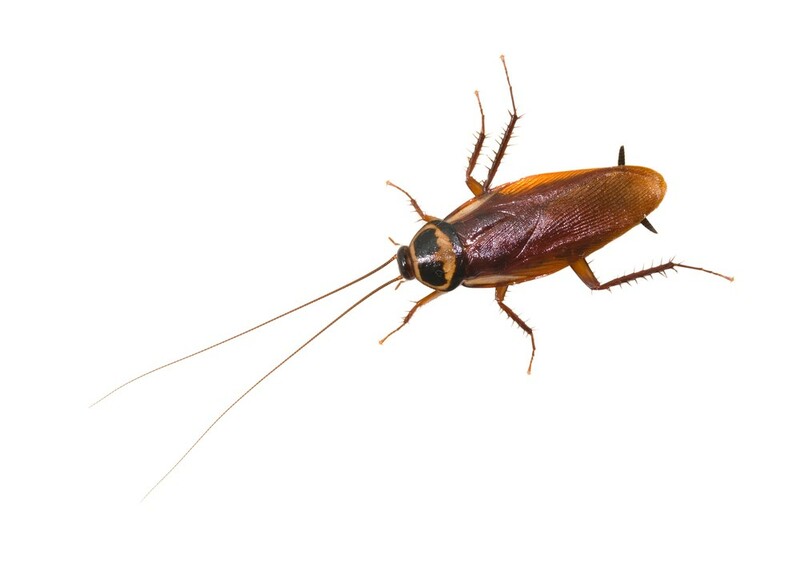 Cockroaches are generally associated with poor sanitation, but if you live in an apartment building with many people and several units, any of your neighbors could be the source of the infestation. This can make eliminating cockroaches very challenging. Cockroaches eat food scraps, greasy foods, starches, and garbage. In the absence of human food, cockroaches will eat any decaying matter including trash, cardboard, paper, and hair. How Can You Get Rid of Cockroaches? A common saying is that for every cockroach you see, there are ten you don't see. If you see cockroaches in your kitchen, this means many others are in corners, under appliances, in cabinets, and in hidden parts of your home. To get rid of all of your cockroaches, you'll need to use a combination of bait, poison, and environmental controls. For example, keep your kitchen clean. Use multi-purpose cleaner on all surfaces, including the counters, floors, and in the sink. Clean every night after dinner. Take out the trash nightly, and do not leave dishes in the sink. Hire a professional to use poisons or baits as necessary. Your pest control professional can decide which poisons or baits are most appropriate given the number and type of cockroaches that you see in your home. How Can You Prevent Cockroaches? The best way to prevent cockroaches is to keep your kitchen clean with the methods described above. Also, use caulk or steel wool to seal your home and prevent cockroaches from entering through cracks. Your pest control person can help you identify some places where cockroaches could enter your home. Like cockroaches, mice are attracted to places where people live because they like to scavenge on the food that people leave. Mice often live outdoors until winter and enter the home when the weather turns cold outside. Mice eat just about anything they can reach. They're excellent chewers that can easily eat holes through cardboard boxes and bags to reach foods like cereal, crackers, and bread. Mice are likely to eat any dry food. They're also attracted to water leaks because they need the moisture to drink. How Can You Get Rid of Mice? Poisons and glue traps tend to be the easiest way to get rid of mice. They do not respond to spray. A good pest control person can help you with this since they'll be trained to place poisons and glue traps in the most strategic areas. Use environmental controls to make your home less hospitable for mice. Pack up your dry foods in hard containers like plastic tubs or jars, because this makes finding food difficult for mice. Fix any leaks in your home, or work with your landlord to have them repair leaks. How Can You Prevent Mice? You can prevent mice in the same way you prevent roaches: by keeping your home clean and food inaccessible. Keep food garbage in a trash can with a lid that closes tightly. Store all food in plastic tubs with lids that close. Pantry moths commonly enter the home through food packages. Once they're in the kitchen, they can be very hard to eliminate. Infestations may start small, but over time, these pests can take over your kitchen. What Do Pantry Moths Eat? Pantry moths eat grains, nuts, candy, oats, rice, and flour. You'll find them living in close quarters with these foods. In fact, pantry moths will live in jars, bags, boxes, and other containers that contain these foods. You'll be able to identify them in your foods by their webs and larvae. How Can You Get Rid of Pantry Moths? To get rid of pantry moths, you'll have to get rid of all infected food sources (check all of your boxes and bags). Then, work with your pest control person to take further action. Your pest control person may need to spray your kitchen, but before this can be done, you'll have to clear out your shelves of dishes and foods. How Can You Prevent Pantry Moths? You can prevent pantry moths by inspecting all foods before storing them in your home and throwing away infected foods. You can also prevent pantry moths by freezing foods like grains and cereals before storing them in your cabinets; this kills all larvae. If you have more questions about kitchen pests and how you can prevent them, contact an expert. At Greenleaf Organic Pest Control Management, Inc., we're happy to help. Call today! Rodent season is just around the corner. Rodents look for opportunities to access our structures when the weather turns wet. I’m going to focus on the 3 most common rodents that will likely be the ones looking for access to your home. I've included a bit of biology about each rodent which provides us the ability to properly identify the rodent species, and then helps us select the proper rodent control products and exclusion material needed to keep them from gaining access to your home. 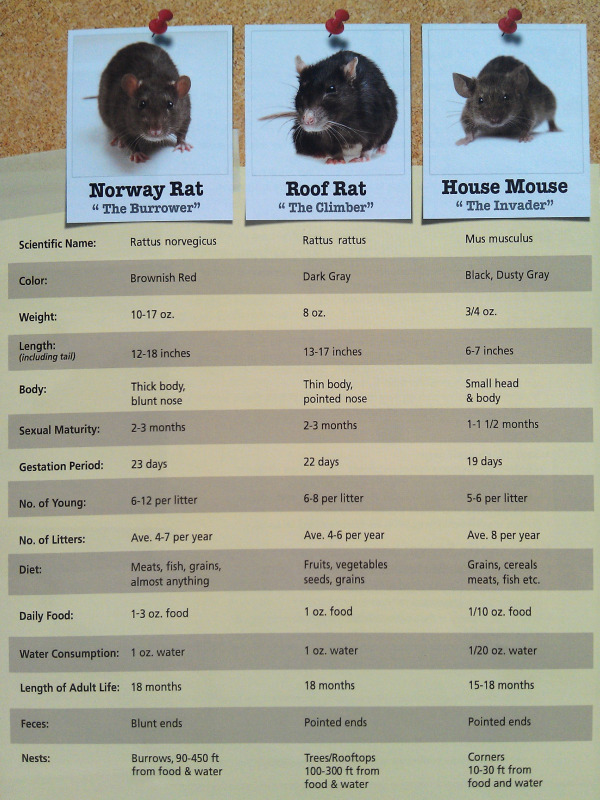 Rodent droppings are also a key component in identifing which specie(s) of rodent may be infesting your home. Many insects have simular droppings or scats that may be confused for rodent droppings. Rodent droppings have hair in them and insects do not, so with a hand lens you can quickly rule out insects if you know what your looking at. Roents are the second most successful mammal on earth, and for good reason. They have learned to live along side us and have found adaption to be pretty easy. Lets take a look a little closer why they do so well. Rodents are almost blind and use their sense of touch for guidance, but can detect light and dark and movement quite well. If deprived of a certain nutrient, rodents learn which foods fill that need and prefer those until that need is met. Rodents long whiskers, or vibrissae, are located all over the body, but are most prominent on the face. These hairs are used for guidance as they move along walls and other objects. They can hear sounds that we cannot and also communicate with sound, squeaks, clicks, and whines that we cannot hear. They create memory of the environment and how to move through it without looking. So I hope you have a better understanding of the biology of the rodent and why they have become so comfortable in our homes. Because rodents can gain access into homes through a hole as little as 1/4 inch for a mouse and 1/2 for a full grown rat. Because of the small opening needed to gain access, many rodent jobs fail because of a poor inspection. During the inspection process, rodent droppings can tell the inspecter how old the colony is, the size of the infestation and helps locate high activity areas that will help with the implementation of the program. Looking for gnaw marks, rub marks also help understand activity levels. Harborage Reduction is also a key component in reducing areas where rodents will hide and nest. Keeping the yard clean, vegetation cut short; tall grass protects rodents from predators. Keep overhanging trees cut back, over hanging trees provide dark shadowy areas where rodents feel safe and protected. Keeping a 2 foot barrier of rocks or cement around the foundation of your home will help keep rodents from nesting near the structure and discourages activity. Rodent exclusion requires special knowledge, tools and materials and a good understanding of how homes are constructed. Many homes have issues on the roof and eve lines that were never sealed when the home was built. I have found that many builders aren't really concerned with these openings because they were focusing on keeping water out, so if an eve line covers the opening they sometimes will leave a large opening that is a sure way for Roof Rats to gain access. This is typical where two different roof lines meet. Once your home is properly sealed up to keep rodents out you should have it rechecked each year. When service companies come out and do what it is they do the integrity of exclusion work should last many years as long as vents don't become damaged or not put back properly. The cable company, phone company, electrictions, plumber, etc. will in the course of their work sometimes remove or damage vents or make new openings. This months issue of Voice from PCOC's Josh Adam, shared a bit of interesting facts about the impact rodents have on society and some potential changes that would pose a threat to the health and well being of our environment. One of the biggest ongoing concerns for California PCOs is possible future rodenticide regulation. Many anti pest control advocates do not realize that pest control is one of the three largest contributors to increased life spans in the 20th and 21st centuries: 1) Improvements in the medical field; 2) Indoor plumbing and civil engineering; 3) Control of vector disease carrying insects and animals, especially rodents. In Medieval England, the Black Death or Bubonic Plague killed 1.5 million out of an estimated 4 million people between 1348 and 1350. After 1350, it was to strike England another six times by the end of the century. These numbers do not even include the rest of Europe. Mainly because of infected rodents traveling on trade ships and caravans from other geographical areas, the plague was introduced to Europe, and no one understood the source. Now the disease is virtually wiped out from the western world with only an occasional recorded case usually coming from an infected animal or rodent. These diseases can be spread to humans directly through handling of rodents, through contact with rodent feces, urine or saliva or through rodent bites. Diseases carried by rodents can also be spread to humans indirectly through ticks, mites or fleas that have fed on an infected rodent. Last year in Nevada, an animal rights advocacy group – TrailSafe – pushed to place restrictions on trapping, including body-gripping devices such as snap traps and glue boards. Instead of reaching out to the industries affected, they went directly to the Nevada Department of Wildlife. NDOW proposed that TrailSafe should meet with industries involved. TrailSafe instead found a Senator who would sponsor a bill in legislation – SB226. After members of our industry began to respond to the bill, the founder of TrailSafe reached out to the pest control industry in an attempt to be sure we were exempt from the restrictions of SB226. The senate committee put the bill back to NDOW to develop some regulation guidelines for trapping in Nevada. During subsequent meetings, TrailSafe stated they never intended to impact the trapping of mice and rats. Members of other animal activist groups voiced concerns about the cruelty of glue boards and traps to rodents, wanting to push further than TrailSafe with extreme bans on all trapping devices. As an industry we do our best to educate the general public and local and State agencies about the impact of these types of regulations. One of my last blogs I mentioned some of the reasons nuisance animals are on the rise, could you imagine the impact of rats and mice would have on the homeowner if we could no longer control them. I can't stress the importance of having your home inspected for rodent activity and structural deficiencies that would allow access. We can provide a complete inspection of your home and evaluate your specific needs.